The 2017 edition of world’s biggest industrial exhibition, the Hannover Fair, drew the biggest crowd in its 70-year history. As usual, the event gave a taste of what is to come in automation and factory equipment, and highlighted the increasingly closer links between the automation and IT sectors. Digital twins, virtual reality (below), collaborative robots, and the cloud. These were some of the key themes of the 2017 Hannover Fair, which attracted around 225,000 visitors to the Northern German city in April. This attendance – up from the 217,000 who attended the last comparable show in 2015 – set a new benchmark in the 70-year history of the industrial megashow. More than 75,000 of those visitors came from abroad, with the biggest single foreign contingent being the 9,000 people who made the journey half-way around the world from China. There were 6,200 visitors from the Netherlands, and 5,300 from India. The theme of this year’s show was Integrated Industry – Creating Value. Once again, there was a spotlight on Industry 4.0, but this time as a practical reality rather than a theoretical aspiration. “Industry 4.0 is now well past the trial stage, and is already generating real benefits in applications,” declared Thilo Brodtmann, managing director of the German engineering federation, VDMA. Cloud connections were being promoted everywhere, as was the growing importance of simulating manufacturing processes digitally. 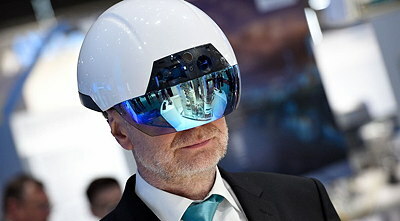 “The trend towards the ‘digital twin’ concept in the production environment is opening up entirely new vistas for industry,” suggested Dr Jochen Köckler, a board member of the show’s organiser, Deutsche Messe. The idea is that developing and testing production processes virtually will save time and money, and bring products to the market much faster. This was the last Hannover Fair in the current format. From 2018, the annual Industrial Automation show-within-a-show will merge with the biennial Motion, Drive & Automation (MDA) event to form a single entity to be called Integrated Automation, Motion & Drives (IAMD), and covering automation, power transmission and fluid power. Also from 2018, the vast CeMat logistics trade fair will run alongside the industrial show for the first time. This double-event, which will take place every two years thereafter. Over the next few pages, we highlight some of the products and technologies that were on show in Hannover this year. ABB was showcasing a family of ultra-low-harmonic (ULH) VSDs with built-in harmonic avoidance systems (shown below). 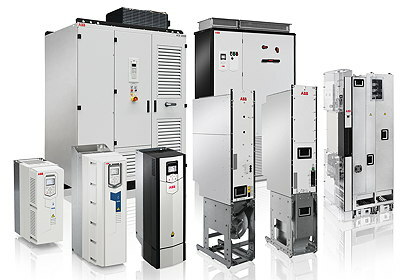 The ULH family – which includes variants on ABB’s ACS880 industrial drives and ACH580 HVAC drives – spans a power and voltage range that caters for most applications. Benefits are said to include improved reliability, energy savings, and extended equipment lifetimes. Baumüller made a series of announcements including a range of precision servomotors with low detent torque, and thus high accuracy and smooth operation. 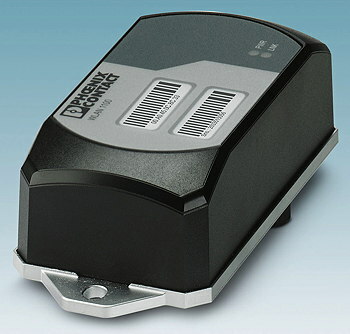 The DSH1 motors cover speeds up to 6,000 rpm and outputs to 10kW. Baumüller has also combined its DSD, DSP and DSC servomotors with its b maXX 3000 converters to create a range of compact, IP65-protected integrated drives called b maXX 2500, aimed at distributed applications. The drives some in three sizes with torque ratings up to 10Nm, and overload factors of five. Baumüller has also increased the power and speed ratings of its DST2 high-torque motors, which are now capable of top speeds of 2,000 rpm, while their upper power rating (in size 400 frames) has been raised from 320kW to 530kW. The company’s DS2 synchronous servomotors can now reach speeds of up to 5,000 rpm, while using water or oil cooling raises their power ratings. Finally, Baumüller is now offering a safety function for its stackable b maXX 500 converters, whereby motors are no longer shut off in decentralised converters but centrally using Safe Torque-Off modules integrated into the feeder. Bonfiglioli announced 160kW and 200kW (water-cooled) 400V VSDs with high power densities. The Active Cube 7 drives offer options including: a PLC with 32 function blocks and 16 variables; support for various feedback sensors; digital and analogue inputs and outputs; and support for communications protocols including Profinet; EtherNet/IP, EtherCat, VABus/TCP and CANopen. The Taiwanese automation manufacturer Delta was showing a new AC servodrive with built-in vibration suppression. The Asda-A3 drive is aimed at applications that need high-speed responses, high accuracy and smooth motion. It boasts a 3.1kHz frequency response, notch filters for resonance, and can control permanent magnet synchronous motors using EnDat 2.2 or Biss-C encoders. The matching motors can achieve speeds of 6,000 rpm, with a peak torque rating of 350%. Kollmorgen launched a second generation of its AKD2G servo amplifier which uses the EtherCat FSoE safety profile for safe communications. Running safety and motion on the same cable eliminates the need for additional secure wiring with safety modules to control safe motion functions. Safe brake control (SBC) and safe brake test (SBT) are built in. The Italian motor-maker Lafert was showing a new generation of Nema Premium / IE3 asynchronous motors aimed at the US market, as well as an extended range of brushless servomotors with torque ratings up to 390Nm for dynamic applications. Also on Lafert’s stand was a range of IE4/IE5 synchronous permanent magnet motors with optional integrated drives. A more specialised development is an upgraded range of synchronous PM motors with integrated drives designed to spin high-volume, low-speed fans with blade diameters up to 7m. Nord Drivesystems launched a range of high-efficiency drive systems aimed at baggage-handling and logistics applications. 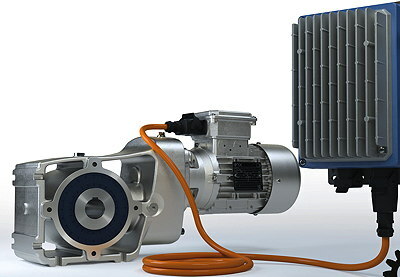 The daisy-chainable LogiDrive systems (below) combine IE4 PM synchronous motors, helical-bevel gearboxes and frequency inverters designed to operate near the motor. The easy-to-install systems are said to achieve high efficiencies even at part-loads and low speeds, and can pay for themselves in months in some applications. Nord was also previewing an extension to its Nordac Link family of distributed drives aimed at networked, multi-axis conveyor systems. The new size 2 version, due in September, will extend the top power rating from 3kW to 7.5kW. The drives have built-in hoist functions and STO and SS1 safety functions. A Belarussian company called Rozum Robotics was demonstrating a range of precision geared servomotors with power ratings from 80–500W and continuous torque ratings of 14–120Nm (36–215Nm peak). 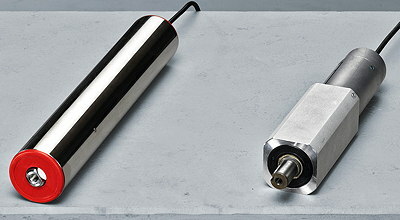 The RDrive motors have diameters from 50–85mm and lengths from 82–106mm. Rozum also produces compact frameless motors with power ratings up to 550W, rated speeds of 6,000 rpm, and peak torque ratings of 2,640mNm (880mNm continuous). SEW-Eurodrive is offering a complete light-load drive system for roller conveyors (shown below) which, it claims, delivers up to 25% more power and 60% more overload capacity than the market standard. The ECDriveS (electric commutated drive system) is based on a PM brushless DC motor combined with planetary gears, that provides 40W of continuous power and a 250% overload capacity. Built-in encoders eliminate the need for extra sensors and cut costs by up to 30%, according to SEW. SEW also launched a range of Atex/IECEx-compliant explosion-proof motors with IE3 efficiencies – even though the US and South Korea are the only countries with minimum efficiency requirements for explosion-proof motors. The company says it has a responsibility to the environment. The EDRN80 – 315 motors are no bigger than IE2 motors with a comparable performance. They can be operated direct-on-line or via inverters and are available with IP55, IP65, IP56 or IP66 protection ratings. SEW also announced an extension to its Movigear family of mechatronic drives covering the torque range 10–100Nm and aimed at applications such as small conveyors. The compact, lightweight MGF..1-DSM series can be used with inverters from SEW’s new Movi-C generation of inverters to provide encoderless, speed-controlled operation. Siemens says it has shrunk the width of its Perfect Harmony medium-voltage converters by about 20% compared to rival converters by changing the transformer design and by using a new PCB cell design that results in narrower, lighter cells. The GH180 converters are made up of several cells connected in series. They can be removed without needing any aids and their fans can now be exchanged from the front. Siemens also announced a new generation of its Simotics DP roller table motors with power/torque ratios that are about 25% higher than the previous series. The motors (below), based on the new 1LE1 platform, are also said to exhibit better vibration and shock resistance. ABB announced a redundant, Ethernet-based, single-channel I/O system for its Ability System 800xA automation platform that supports ABB’s Intelligent Projects model, resulting in efficiency improvements, faster start-ups, and reduced project delays. All of a project’s data points can now be marshalled digitally. A new multi-axis controller from Baumüller allows users to combine up to six independently controllable axes with different ratings in one compact enclosure. According to the company, the b maXX 5800 controller lets users specify the precise power needed for each axis while providing faster communications than six separate axes. Wiring costs are reduced, especially if a single-cable option is chosen, while separate safety functions can be set for each axis. Beckhoff used Hannover to launch a range of capacitive multi-touch control panels and fanless panel PCs for use in Zone 2/22 hazardous areas. The CPX panels include panels in various ratios and sizes, from 15 to 21.5”. The panels are available for integration into cabinets or as IP65 standalone versions. The hazardous-area panels complement a series of intrinsically safe EtherCat terminals that Beckhoff unveiled at the Fair. B&R Automation – in the process of being acquired by ABB – expanded its industrial PC portfolio with a range of compact box PCs (Automation PC 3100) and panel PCs (Panel PC 3100), based on Intel’s seventh-generation Core-i processors (below). Two slots can accommodate cards for series interfaces, Ethernet, Can or Powerlink. The slots can also be used for a UPS or an audio interface. Delta was promoting its new AS series PLCs with 32-bit SoC (system-on-chip) CPUs which can perform up to 40,000 steps per ms. The compact, rack-less, modular design allows flexible expansion, accepting up to 32 modules or up to 1,024 I/O points. The PLCs can control up to eight axes via the CANopen motion protocol, or six axes via 200kHz pulse control. Siemens unveiled new ranges of “low-price” industrial PCs in box and panel formats, aimed at maintenance-free, round-the-clock operation, such as HMI applications. The fanless Simatic IPC327E Box PC and IPC377E Panel PC come in eight preconfigured versions for quick delivery. Panel versions include 12, 15 and 19” single-touch displays, with quad-core Celeron processors, two Gigabit Ethernet interfaces, a 500Gb hard drive and up to six Com and USB 3.0 interfaces. The Windows 7 Ultimate operating system is an option. Siemens also announced a family of IP65-protected HMI panels for cabinet-free visualisation and automation applications. The Simatic HMI Comfort Panels Pro offer a choice of 12, 15, 19 or 22” screens and have a built-in card for automatic backups. They can be used for energy management applications directly on a machine. Siemens has added two failsafe CPUs to its Simatic S7-1500 Advanced Controller family. The 1511TF-1 PN and 1515TF-2 PN combine motion control functions, such as gearing and camming, in the same device as safety-related applications. There is also a new battery-free power supply module for the S7-1500 which buffers energy in the event of a power failure, and is said to be maintenance-free. Finally, Siemens has upgraded the S7-1500 firmware to version 2.1, which allows access to new functions in the TIA Portal V14 SP1 engineering framework (see later). Siemens has shrunk the width of the power supplies for its Logo! controllers by 18mm to 72mm, making mounting more flexible on DIN-rails or directly onto walls. The Logo!Power supplies have efficiencies of up to 90% and no-load losses of less than 0.3W. They have built-in current monitors for real-time measurement of output current. Wago announced a firmware upgrade that turns its PFC100 and PFC 200 controllers into IoT devices that transmit data from the field level to the cloud, where the data can be aggregated and analysed. The MQTT upgrade, combined with programming an IEC application with the appropriate library, allows users to send status and device information, and variables defined in the IEC program, to the cloud. Weidmüller announced a range of programmable logic modules with built-in analogue and digital I/O for use in harsh environments. The encapsulated WCU modules (below) allow simple, decentralised automation and can withstand vibrations up to 5g, shocks up to 10g, and temperatures from –40°C to +70°C. Switching of the outputs is programmed graphically and a library of predefined function blocks makes the modules intelligent automation tools. They can operate actuators up to 1.5A directly. ABB has announced an 18-model family of safety relays that includes universal models that provide a single relay for all common applications. The Jokab Safety Sentry relays are said to simplify troubleshooting using three-colour LEDs for status messages and digital displays for more extensive fault information. Up to ten relays can be reset using one button. All models are 22.5mm wide, even with one NC and four NO outputs. Timer functions have an accuracy of better than 1%. Eaton has expanded its SmartWire-DT intelligent wiring and communication system by adding compact IP67-protected modules which can be used outside of control cabinets to integrate more sensors and actuators into SW-DT networks. There are two sizes, allowing up to eight or 16 sensors or actuators to be connected via four or eight M12 connectors. There are numerous variants including freely-configurable I/O modules. As well as 24V, 0.5A versions, there are devices with 2A output currents that can trigger actuators directly. Euchner announced a range of light-beam safety guards available as two-to-four beam light grids, or as light curtains with resolutions from 14–50mm and a choice of protective field heights and ranges. The LCA guards can be set up on the device without needing a PC. They comply with PL c / SIL1 or PL e / SIL3, depending on whether they are type 2 or 4. Safety switches from Euchner’s CES-C04-AP/AR series can now be used in potentially explosive atmospheres (zones 2/22) using a plastic housing that protects the switches against possible impacts. New from the cable-maker Lapp are two ranges of motor connection cables which are particularly thin and have low capacitances, improving their EMC properties and allowing longer cable runs. The Ölflex VFD 2XL cables, aimed at frequency converter applications, have previously been available only in North America but are being brought to Europe. The low capacitance of the shielding-free Ölflex Servo 719 cable, for servomotor applications, makes it ideal for applications with voltage peaks, reflected waves or leakage currents. Murrelektronik was demonstrating a series of maintenance-free LED lights for machine illumination. In addition to the Classic Line in a 4mm-thick aluminium housing, there is IP69K-protected Xtreme Line which remains sealed even in sub-tropical conditions and can be used in areas in constant contact with coolants and lubricants. The efficient (105lm/W) lights can be operated directly from Murr’s fieldbus modules. At Hannover, Pepperl+Fuchs launched a modular surge protection system (shown below) based on 6.2mm-wide single-channel modules and incorporating a patented diagnostics system said to reduce operating costs through condition monitoring and predictive maintenance. An easy-to-read traffic light system shows when a M-LB-5000 module has reached 90% of its lifecycle, allowing it to be replaced when maintenance is performed next, cutting maintenance costs and improving reliability. P+F has also added an Ex de model to its range of switches for operating motors and drives in hazardous areas. The tamper-proof switches are available in ratings up to 40A. 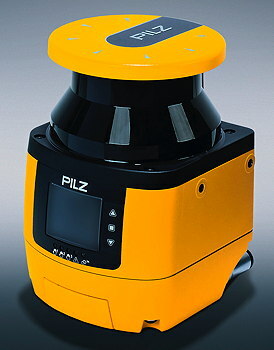 Pilz unveiled a 2D safety laser scanner that monitors up to three separate zones simultaneously and covers a 275-degree-wide angle. Up to four of the scanners can be connected in series as master-slaves, cutting cabling and set-up times. The PSENscan scanners (below) cover a safety zone of 3–5.5m and a warning zone of up to 20m, allowing warnings to be issued or machines to be slowed down. Up to 70 switchable configurations can be set up using a dedicated software tool. 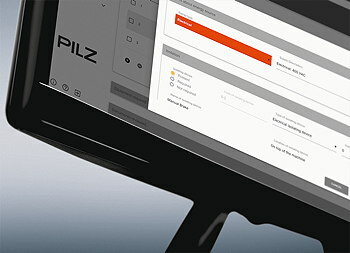 Pilz has also added a configurable analogue output to its PNOZ s30 speed monitor, making diagnostics more user-friendly. The new output forwards the safely measured speed to a PLC as a 0–20mA or 4–20mA signal, allowing the speed to be used in process monitoring. The speed can be displayed on a monitoring device, and a safe output signal can indicate when values exceed or fall below defined thresholds. Wago announced a range of double-decker terminal blocks with vertical conductor entries that are said to be easy to use in confined spaces. Many more of the 5.2mm-wide TopJob S blocks can be accommodated on a DIN-rail, allowing twice as many clamping points to be connected in the same width. The terminal blocks accept cables from 0.25–4mm2, with maximum currents of 28A (24A nominal). Wago also has a new three-phase power measurement module that measures AC and DC currents up to 20kA using external shunts rather than current transformers. For each phase, they can calculate values including active energy and power, apparent power, rotary fields, peak currents and power factors. 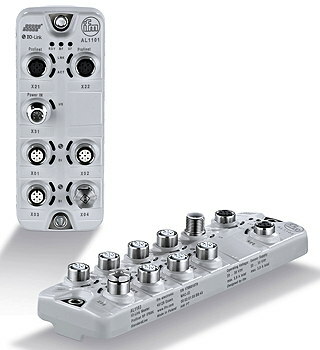 Weidmüller has expanded its Klippon Connect A Series terminal blocks to include fuse, separation and triple-deck blocks in the universal range, and motor-connection terminals in the application range. The new blocks use a fast push-in connection technology. Weidmüller also released a range of high-end power supplies with dynamic current-limiting that provides good reserves of power and a wide dynamic range for reliable triggering of circuit-breakers and powerful motor starts. The Protop supplies are suitable for demanding applications subject to extremes of vibration and temperature. 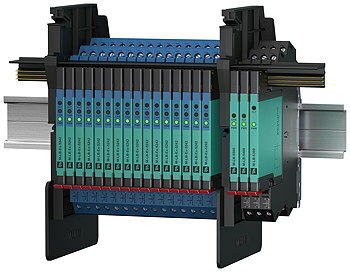 Wieland announced a series of tool-free DIN-rail terminal blocks which make connections using a time-saving smart push-in technology. The 3.5mm-wide feed-though and ground blocks accept conductors from 0.14–15mm2 and can carry 17.5A at 500V. Wieland has also expanded its SLC light curtain and SLD light grid families, with a “professional” series which allows complex functions such as blanking and muting to be achieved without much extra effort. No additional control devices may be needed, depending on the application. ABB has released a new generation of if its robot commissioning and monitoring software which, it says, delivers more flexibility, space savings, and improved productivity. SafeMove 2 allows robots and operators to work more closely by restricting robot motion to exactly what is needed for an application. It also integrates safety fieldbus connections into ABB robot controllers. Bonfiglioli announced a new range of planetary gearboxes with high torque densities, optimised reduction stages and extended operating lifetimes. The 300M series boxes came in 20 sizes with output torques from 1.3–1,300kNm. Bonfiglioli has also added four new sizes (71, 81, 91 and 95) to its HDO series of modular helical-bevel gears. The quiet, vibration-free boxes cover torque ratings from 9–23kNm. 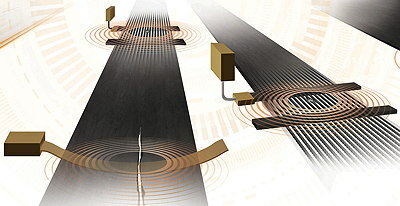 ContiTech has developed a conveyor belt system with built-in temperature and pressure sensors which can detect changes in loads and other parameters, allowing operators to prevent potential failures and increased wear. The Sicon belt (below) consists of two fabric-reinforced profiles with tensile steel cords members. Contitech has also developed a digital monitoring system for steel-cord conveyors. The magnetically-based MultiProtect system uses inserts embedded on the belt to identify problems such as slitting and damaged joints, allowing preventative repairs to be scheduled. Also new from ContiTech is a heavy-duty timing belt with a low-stretch carbon tension member, which is said to transmit rotary motion with greater angular precision. The Synchroforce Carbon belts have high tear strengths and dynamic load capacities, and allow synchronous drives to operate in tight spaces. Igus has expanded its Robolink family of low-cost modular robots and is now offering pre-assembled robot arms with four or five degrees of freedom, in two sizes. The larger version, with an 8kg lifting capacity, costs €3,200, or €5,000 if a control system is included. Igus is using these arms – made largely of lubrication- and maintenance-free plastics components – for 24/7 pick-and-place tasks in its own plants. Igus has also released a software package, called Robolink Designer, that allows users to configure their own arms via an intuitive interface. Igus also announced a new version of its best-selling iglidur G polymer bearing material which, it says, has considerably improved properties –­ allowing it to compete with metal bearings in more applications, at almost the same price. The new iglidur G1 offers: low-speed wear rates that are up to 75% lower than before; service lives that are up to twice as long, depending on the application; operating temperatures of up to 180°C (previously 130°C); and moisture absorption that has been more than halved. KTR has developed a one-piece floating caliper brake (called XS) in hydraulically or electromechanically actuated versions, which can be operated in a passive mode (with clamping forces up to 15kN) or an active mode (16.5kN). 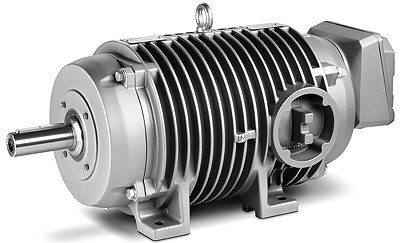 KTR has also added two new sizes to its BoWex-elastic HE range of torsionally flexible flange couplings, for high-performance drives up to 5MW. There are also two new models in the Syntex-NC family of backlash-free torque limiters, for shaft diameters up to 15mm and 60mm, and maximum release torques of 14Nm and 550Nm. The Italian belt-maker Megadyne celebrated its 70th anniversary at Hannover with the launch of several new ranges including: the Megalinear Quiet Self Track polyurethane belts, designed for low levels of noise during high-speed operation; the high-performance new-generation Silver2 and RPP Steel families; EPDM rubber belts with steel cords; and a new range of belts and conveyors for food applications. Mitsubishi was previewing a new generation of its Melfa Scara and articulated-arm robots with improved performance and shorter cycle times, for improved productivity. The new Melfa-FR robots have load capacities from 2–20kg and maximum reaches of more than 1.5m. There is matching controller – the compact CR-800 (shown below) – which can be chained together to control multi-robot installations. EtherCat compatibility is an option. Nord Drivesystems announced two new gearboxes, taking the total in its modular range to 11. The new models have nominal torque ratings of 15 and 20kNm. Nord is also offering several new gearbox extrusion flanges for heavy-duty applications. The flanges are available for gearboxes in sizes 5–11, and rated torques from 15–80kNm. Omron was demonstrating a new family of mobile robots designed to transport loads weighing up to 130kg around sites such as warehouses and factories. Unlike conventional AGVs (automatic guided vehicles) which need tapes, magnets or laser beacons for guidance, the LD robots can adapt automatically to changes in their environment and navigate around people and obstacles, choosing the best path to reach a destination. Up to 100 can form a centrally managed fleet, and there are versions that can move carts. Rexroth was promoting a range of maintenance-free servo-hydraulic actuators with maximum forces of 2,500kN, speeds of up to 2m/s, and strokes of up to 6m. 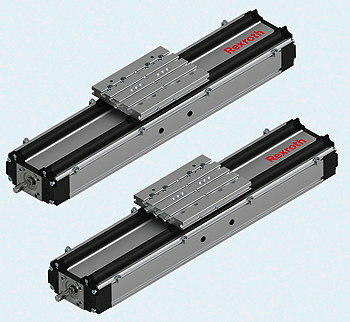 The SHA actuators are said to combine the benefits of a compact linear drive with those of hydraulic systems (power, dynamics, robustness and efficiency). They use the same controls and drives as Rexroth’s EMC electromechanical cylinders. Rexroth has also added a range of well-protected linear axes, originally developed for a European car-maker, to its range of standard products. The CKK axes (below) have a special cover with a toothed sealing profile, designed to resist welding spatter and chips. It is available in sizes 110, 145 and 200. Schunk was previewing what it claims is the first maintenance-free 24V electric gripper which complies with IO-Link Class B. 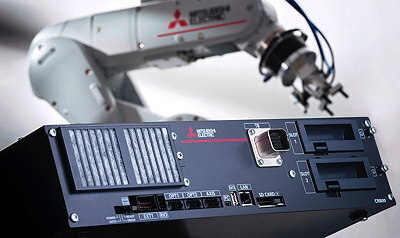 Just one connection is needed to control, parameterise and perform diagnostics on the PGN-plus-E IO-Link gripper, which is connected directly to an IO-Link master. Integrated control and power electronics saves cabinet space, while built-in sensors measure the stroke and speed of the gripper fingers, as well as power consumption. SEW-Eurodrive has introduced a modular helical gearbox that closes the gap in torque ratios between its R107 and R137 sizes, and is said to be up to 12% more cost-efficient, with up to 40% more torque reserve, than adjacent sizes. The new R127 size can deliver up to 6kNm of torque and covers gear ratios from 5.55 to 262.65 in 35 steps, and two or three stages. Siemens used Hannover to launch a range of torsionally rigid all-steel disc couplings which, it claims, offer the highest power density on the market, and can transmit higher torques and speeds than their predecessors. The maintenance- and backlash-free N-Arpex couplings can be used in explosive atmospheres and in temperatures down to –50°C. They allow axial, radial, angular and radial offset compensation. THK previewed a range of DIN-standard compact, precision ballscrews that will be available globally on short delivery times. The high-speed SDA-VZ ballscrews will come in shaft diameters from 15–25mm, and with leads of 5, 10 or 20, with bigger sizes in the pipeline. Aventics announced two new ranges of ISO pneumatic cylinders aimed at hygienic applications. The ISO 15552 compliant CCL-IS standard cylinder and ISO 21287 compliant CCL-IC compact cylinders (below) have aluminium bodies and stainless-steel piston rods and screws. The CCL-IS covers diameters from 25–125mm in eight sizes, with a maximum stroke of 2,750mm. The CLC-IC covers diameters from 16–100mm in nine sizes – claimed to be the widest range on the market – and has a maximum stroke length of 500mm. IMI Precision Engineering also has a new range of ISO 15552 pneumatic actuators that, it says, are 20% lighter than their predecessors and offer improved performance, including lower breakaway pressures and minimum speeds. The “fit-and-forget” ISOline actuators are available in sizes from 32–125mm and include a new adaptive cushioning system that adjusts the cushioning automatically for changing loads, avoiding the need for manual screw-setting and specialist knowledge. IMI has also upgraded its Norgren VM and VS valve islands to provide Profinet IRT and EtherNet/IP communications. Another company enhancing the communications capabilities of its valve islands is Parker Hannifin, which introduced IO-Link modules that integrate with its existing valves. The modules give industrial Ethernet users plug-and-play valve compatibility and the option to add intelligence and decentralised control for better machine-to-machine control. IO-Link also provides time-critical diagnostics and can reduce commissioning and configuration times, thus cutting labour costs and time-to-market, according to Parker. 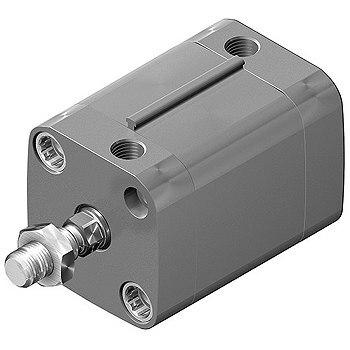 Parker has also developed an absolute position sensor which is integrated into the head of a pneumatic cylinder and reads a non-repeating pattern on the cylinder rod to provide continuous feedback on the cylinder position and system health. The Intellinder opto-electronic sensor reports the data via a CANbus connection. Cylinders incorporating the cylinder cover rod diameters from 25–127mm and stroke lengths up to 2.4m. At Hannover, Baumüller was demonstrating a predictive maintenance system for simple networking of machines and systems via the Internet, and the intelligent analysis of the data. The Baudis IoT system monitors automation components and machine states continuously, analyses the data, and recommends actions. It can be used independently of the manufacturer of the components and sensors, and can be retrofitted to existing installations. There are two versions: one evaluates data on-site; the other uploads data to the cloud for archiving and analysis. The German sensor specialist Bogen Electronic was showing what it claims is the smallest available magnetic measuring head for industrial applications. The X-IKS19 micro-encoder (below) lies flat above a linear scale, resulting in a height of 5mm, a length of 20mm and a width of 6mm. It has a resolution of 80nm and a measuring accuracy better than 5µm/m – almost as good as optical systems. The robust sensor is not affected by dirt and can operate at speeds of up to 10m/s. Using a technology originally developed for automotive applications, ContiTech is offering a long-range radar sensor which scans the distance to an object in real time and can spot collision dangers, depending on speed. It can be used to gauge volume flows on conveyors, as well measuring bulk materials. It will operate in poor visibility, dust and steam. Kübler has developed a multi-turn, hollow-shaft optical encoder with a mounting depth of just 43mm – 27mm thinner than the company’s equivalent encoder with mechanical gear – opening up new applications in areas such as geared motors. 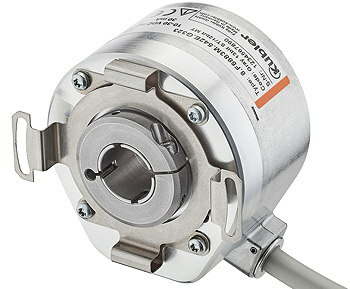 The Motor-Line Sendix F5883 encoder (below) is a has the same mounting depth as absolute and incremental encoders. It is available in hollow-shaft diameters up to 15mm and with a choice of interfaces including SSI, BiSS, SinCos and RS-422. Kübler has also developed a pair of sensors that combine draw-wire measurement systems and inclinometers in a compact package. The C100 (with a measuring range of 1–5m, and a linearity of ±0.1%) and the D125 (6–10m, ±0.5%), offer a choice of sensor types, including analogue and incremental. Molex has collaborated with a remote maintenance specialist MB Connect Line to produce a cloud-based communication channel for remote access and monitoring. The platform – which includes secure, industrially hardened routers – adds communications and networking to production processes, allowing machine-builders to offer real-time condition-monitoring and predictive maintenance, as well as remote set-up and configuration of their machines. Pepperl+Fuchs launched a series of ultrasonic sensors which, it claims, have the shortest deadband on the market relative to their detection range (up to 800mm), as well as being the first of their size (31mm high) to include an IO-Link interface. The UC-F77 sensors use a patented technique for generating ultrasonic pulses. The pulses of up to ten of the sensors can be coordinated without any external intervention. Parameters, including beam widths, can be adjusted on the devices. P+F also announced a family of sub-miniature optical sensors including what it claims are the world’s thinnest laser sensors. The R2 and R3 (and R2F/R3F laser versions) include models with background suppression, retro-reflective sensors with polarisation filters, and through-beam sensors with adjustable switching thresholds. In many cases, the laser sensors are small enough to replace devices based on fibre optics. On its stand at Hannover, Sick was demonstrating a “factory” with a batch size of one, using programmable cameras, smart sensors, RFID devices, and intelligent security systems, linked via the cloud and the company’s recently announced AppSpace technology. The factory was using decentralised intelligence (edge computing), coupled with cloud-based intelligence, to allow devices to learn and adapt. The demonstration included cameras adapting their functions automatically using self-learning AppSpace apps. Delta was demonstrating an industrial router that supports 3G and WAN communications and transmits data via VPN tunnels. The DX-3001 router has dual-Sim redundant design and switches seamlessly between ISPs for continuous network connections. A Finnish industrial Internet specialist, Distence, launched a cloud-based platform that brings together remote and condition monitoring, and is claimed to simplify the digitisation and connection of industrial assets. OEMs can use the Condence platform with Distence’s smart terminal technology to offer smart services. Eaton announced that it is integrating OPC Unified Architecture Standard (OPC UA) into new and existing control systems to make machines IoT-ready and easy to integrate into smart factories. It will allow machines to communicate with each other and with the cloud. Examples of Eaton equipment that is now OPC UA compatible include: its XV300 controller-HMIs with capacitive touchscreens; its XC-152 CoDeSys controller; and the new XC300 CoDeSys controller, which has a built-in OPC UA server. Eaton’s SmartWire-DT wiring and communication system can establish secure connections from motor starters to the cloud. Eplan revealed that it has migrated its Data Portal – which has data on 700,000 devices and 1.2 million variants, from 179 manufacturers ­– from servers in Germany to Microsoft’s Azure Cloud platform. The Portal’s 130,000 users will be able to take advantage of services such as content delivery. Eplan sees Azure’s main attractions as being its central administration and its ability to provide complex applications at data centres around the world. HMS Industrial Networks has released a new version of its Anybus Wireless Bridge which supports communications up to 400m and can communicate using Bluetooth or WLAN. Version II of the bridge (below) can replace Ethernet cables in awkward or hazardous locations, as well as acting as an access point for several WLAN/Bluetooth nodes, such as smartphones. It has a more powerful antenna than version I and a built-in Web interface that can be used for configuration (as an alternative to pushbuttons). ifm electronic launched a new generation of robust IO-Link masters with two Ethernet ports and a Profinet switch. Accompanying software finds all of the IO-Link masters on an Ethernet network and creates an overview of the whole plant. The software is also used to configure connected sensors and actuators. All of ifm’s new sensors now come with IO-Link as standard. It currently has about 500 IO-Link products and is adding 100-150 more every year. One of these new products is an IP69K field module with four or eight IO-Link ports (below), aimed at distributed food industry applications. It is made of halogen- and silicon-free materials and has ingress-resistant M12 connections. Lapp claims to have produced the world’s first torsion-resistant and Profinet-compatible Cat 7 Ethernet cable. The Etherline Torsion cable can be twisted 180 degrees in both directions along a 1m length, at least five million times. It can transfer data at 10Gbit/s at up to 600Mhz. Lapp also has a new Cat 7 cable with a 6.4mm outer diameter with a bending radius of less than 26mm, making it ideal for cabinets where space is tight. Nord has developed a cloud-based system for monitoring and analysing drive axes remotely. Profinet-controlled AC vector drives and motor starters can transmit status data without affecting controls communications. Data on speed, voltage and power consumption is sent via a Siemens PLC to an IoT gateway and the cloud. The data can then be analysed for remote maintenance, asset management, energy profiling and other applications. Other data, such as oil temperatures, can be derived from the data. At Hannover, ODVA released a PC-based software tool that teaches the user about EtherNet/IP technology and standards. The EtherNet/IP ToolBox Integrated Learning Environment – or ToolBoxILE – is aimed at product developers who are new to the technology and is intended to reduce product development times. Parker Hannifin announced an IIoT platform, called the Voice of the Machine, designed to digitise machine assets at the component and control system level to create insights that can be used in enterprise-level IoT systems. The open, interoperable and scalable platform addresses challenges such as legacy devices that are not IoT-enabled, and competing communications protocols. New from Pepperl+Fuchs is a range of Ethernet I/O modules that support all common Ethernet protocols, including Profinet, EtherNet/IP and EtherCat, in one device, and uses a rotary switch to select them. This allows the same IP65/67/69-protected module to be used in different versions of a machine. An eight-way IO-Link master function supports diagnosis and parameterisation, while an L-coded M12 power plug carries up to 16A, reducing the need for parallel wiring and supply adjustments. Phoenix Contact has developed a wireless networking module that combines an access point and two antennae in a single device that can be installed directly onto a machine, thus saving cabinet space. The WLAN 1100 module (below) avoids the need for costly WLAN planning and for the installation of antennae. At Hannover, Phoenix also unveiled a technology that connects machines to the cloud securely via the Internet for scalable remote maintenance. The TC Cloud Client modules have one digital input and one output and are configured via Phoenix’s mGuard Secure Cloud. Schaeffler was demonstrating its Smart EcoSystem cloud-based hardware and software infrastructure designed to integrate mechanical products, such as bearings and guidance systems, into the digital world. Data is transferred via a flexible gateway to Schaeffler’s cloud where the company’s expertise is applied. For example, bearing diagnosis and remaining life calculations can provide information on the state of machines and any actions that are needed. On its vast stand, Siemens was giving prominence its cloud-based MindSphere open IoT operating system, showcasing around 50 apps, as well as partnerships with organisations including Microsoft, SAP and Amazon. A future “drive system analyser” app, for instance, will help to detect damage to drivetrains at an early stage, thus optimising maintenance and reducing downtime. Another app, called KeepSecure!, will help to detect potential threats to automation and control systems. Siemens was also showing a tough plug-and-play router for transferring data directly to MindSphere. 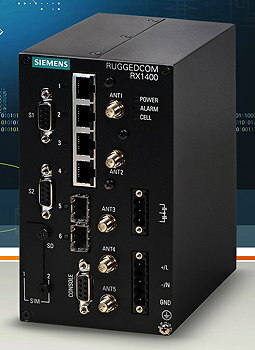 The Ruggedcom RX1400 router (below) reads data from equipment via OPC UA or S7 connections and pre-processes it before encrypting and transferring it to MindSphere, where it can be further processed and analysed. The router combines data acquisition, conversion and communication functions and can connect to end-devices via serial, wireless, LAN optical or Ethernet connections. Also new from Siemens is a family of IP65 wireless access points (Scalance W778-1) and client modules (W738-1), which transmit data in compliance with the IEEE 802.11n WLAN standard. The devices support the 2.4 and 5GHz bands and can be integrated into Siemens’ TIA environment. Finally, Siemens was showing a new line of compact Profinet switches that use bus adaptors to set up electrical and optical line, star and ring structures. There are two types: the general-purpose Scalance XF204-2BA and the XF204-2BA DNA y-switch, which is aimed at special process tasks. Both versions support up to four ports. Wago announced a 16-port industrial Ethernet switch that complies with the Energy Efficient Ethernet standard (IEEE-802.3az), adjusting its consumption to the load on the network and consuming power only during data transmission. The 852-1106 switch has a 1Gbit data throughput and a 12–60V redundant power supply. Wago has also upgraded the coupler that connects its I/O system to CC-Link networks as a slave. Version 2 of the 750-325 coupler allows one coupler to be used where previously up to eight were needed. 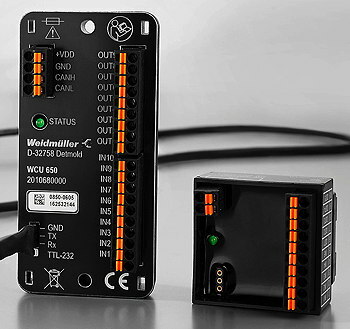 Weidmüller is offering an IO-Link Master module with either IP20 or IP67 protection. The u-remote modules and connected devices are parameterised via a built-in Web server, and they can deliver 500mA per I/O channel compared with the 200mA of other master modules. The 30mm-wide modules have four type A and four type B ports, with the latter supporting actuators up to 2A. Each port can be configured either as an input or output. New from Wieland is range of “light managed” 16-port Ethernet switches, said to combine the advantages of unmanaged switches with those of hard-to-parameterise fully managed switches. The IP30-protected Wienet LMS 16-W switches are aimed at centralised network management applications. Wieland also had a range of switches with eight Fast Ethernet switches, four of which are PoE-enabled and can supply up to 15.4W at 48V DC per port, in accordance with IEEE 802.3af. Aucotec introduced its new Project Status Manager software for machine and plant design. The module for the company’s database-driven Engineering Base CAD platform can automate workflows within a system as well as exchanging data with external systems. The software ensures that documentation is up-to-date and that versions are not confused. Eplan announced a bidirectional connection between its Electric P8 software and Siemens’ TIA Portal engineering framework, allowing data to be exchanged between the worlds of electrical engineering and PLC programming. Users can edit and compare data at every stage of a project, simplifying time-consuming manual comparison of changes. The connection is based on the AutomationML format for data exchange in accordance with IEC 62424/62714. Eplan was also demonstrating its Syngineer mechatronics software, which it announced at the 2016 Hannover Fair and is now commercially available. The software combines the disciplines of mechanical, control and software engineering in an open, cloud-based system that can be used by the different disciplines working in familiar MCAD, CAE and PLC development environments. GE Energy Connections announced two asset-optimising developments that are part of its Industrial Internet Control System, which connects machines to the cloud via IIoT. The first, called Control Server, links all of the controllers in a factory and collects, stores and analyses their data using GE’s Predix software. The second, the Control System Health App, allows users to monitor the status of their control hardware remotely and recommends corrective actions. The app provides a view of current and historical faults for both controllers and I/O. Pilz has developed a software package that documents lockout-tagout (LoTo) processes, producing job specifications for dealing with hazardous energy sources. The PASloto package (below) generates reports and checks companies’ LoTo guidelines. New from SEW-Eurodrive is the Movisuite engineering software which combines start-up, configuration and diagnostics functions for single inverters or complete machines, and for standard or functional safety components. A wide range of software application modules are available to reduce complexity, allowing, for example, complex movements to be implemented using simple parameterisation. Siemens has issued a service pack for its TIA Portal v14 which brings openness to other systems, including bidirectional exchange of engineering data via AutomationML using software such as Eplan or other CAE systems. TIA Portal v14 SP1 also enables the automated handling of hardware configurations, including failsafe objects, allowing users to automate redundant function engineering, to cut development times, and to reduce errors. Siemens also announced a cross-system engineering tool for simple, efficient development of Simatic PCS7 process control systems. The PCS 7 Plant Automation Accelerator provides consistency from planning, through automation, to central data management. Simatic PCS 7 has now reached version 9 and supports Profinet with two new distributed I/O lines for digitalisation down to the field level. Finally, the US software developer Tatsoft was demonstrating what it claims is the first HMI package to developed from scratch using Microsoft’s .Net platform, and allowing users to build native PC, Web, iPad, iPhone and cloud applications from one engineering environment. 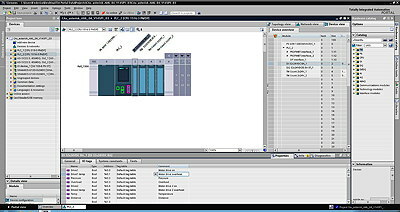 The FactoryStudio HMI software is aimed at machine-builders and handles functions such as alarms, security, reports, remote configuration, and version control. 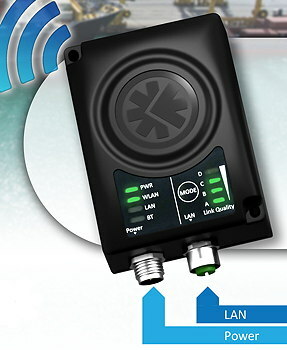 It can be used to connect iPhone and iPads wirelessly to machinery to collect maintenance data. The first two images in this report are courtesy of Deutsche Messe. 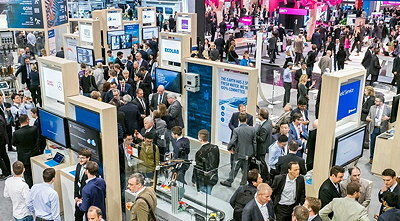 The next Hannover Fair will take place from 23–27 April, 2018.